I always find it stunning how quickly time flies by. I always look back on the month and feel like I didn't have time to get everything I wanted done. I really enjoy these recaps and goal setting posts. It's good to recall what I did this past month and look forward to the next month. My months seem to be pretty exciting these days. In September, we set a date for getting married. This month we started telling our friends and family. We ordered my engagement ring. 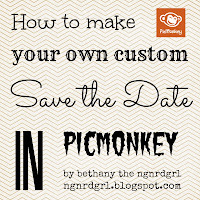 And I made a Custom Save the Date image using PicMonkey. I have actually tweaked the Save the Date since then. I am planning on printing them on postcards and handing them out to people. I'll make another for our wedding invitation and wedding announcements. I also brain stormed some ideas for what I want to wear to my wedding. I shared ideas on dresses, jewelry, shoes and how I want to do my hair. 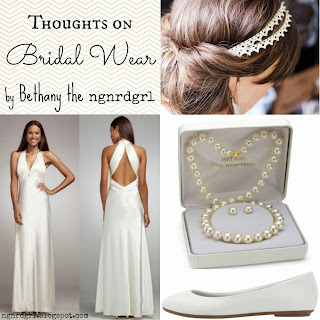 I also shared my thoughts on what my groom should wear. We are doing it all on a budget so getting some ideas on paper (or rather electronically in Evernote, Google Spreadsheets, Pinterest and the blog) is helpful for budgeting. I want to make decisions early so that we have things secured and aren't rushed in the end. Speaking of getting things secured... We reserved our venue! I'll share some pictures of our spot and give you my brainstorm for theme and decor next month. I am down 23 pounds this month. It is wonderful to shed those extra pounds before our wedding. I'm looking forward to pictures of myself that I actually feel good about. I also shared my recipe for Mini Egg Cups. These are so yummy! Photog Show and Tell moved to the 1st Tuesday of the month. It is still going strong and had 21 entries this past month. Left to right, top to bottom: Beach Baby, Woodsy Fungi, Mount Rainier, Airstrip and Summer Flowers. 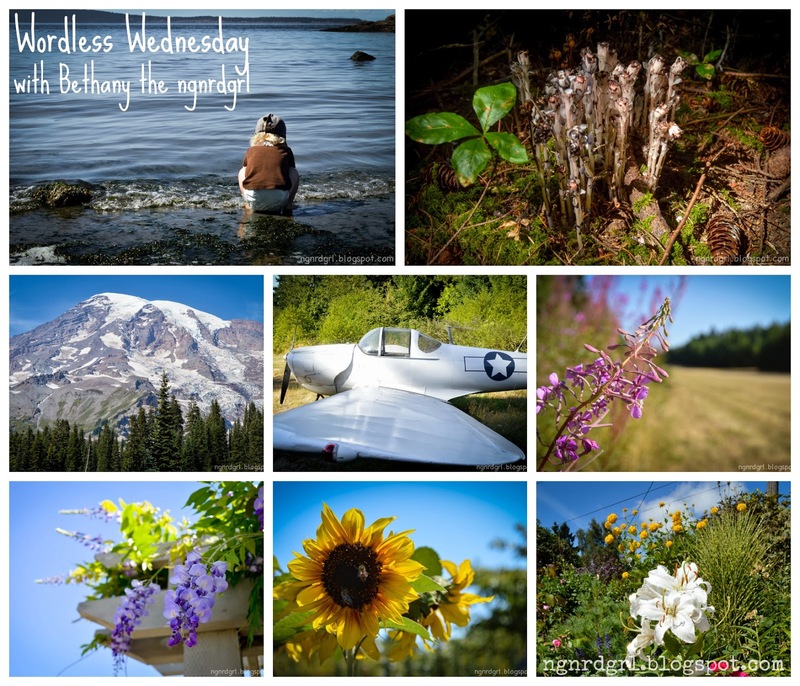 Participate in Wordless Wednesday: Check! I've liked participating in Wordless Wednesday. I really want to provide a linky, but also don't want to step on the toes of Photog Show and Tell. What should I do? Attend a First Time Homeowner Seminar and Blog about it: 1/2 check. I did attend, but I haven't blogged about it yet. I need to regroup my notes and get blogging. Publish at least one post that I have rough drafted in Evernote: Nope. Didn't do this. But I am pleased that I actually made something this month and blogged about it. I think this is better than getting one of those oldies wrapped up. Publish one post about Wedding Ideas: Check! I posted two, actually. I shared how I made a Custom Save the Date graphic and some thoughts on Bridal Wear. I really, really, really wanted to post a third... but I decided to save it for next month. I am already driving my fiance crazy because wedding planning has been all that I can think about. Hey, that isn't too bad! I would say that is a pretty successful month. I still feel that I should have been able to do more, but such is life. I noticed that my Pumpkin Bread got a ton of hits as fall became official. I was *this* close to baking something pumpkinny this past weekend. 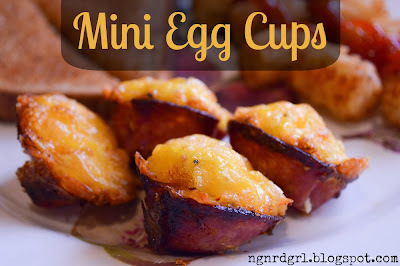 When I suggested it to my fiance, he asked me to make these Mini Egg Cups instead. I'm going to try to bake something yummy this month. How was your October? 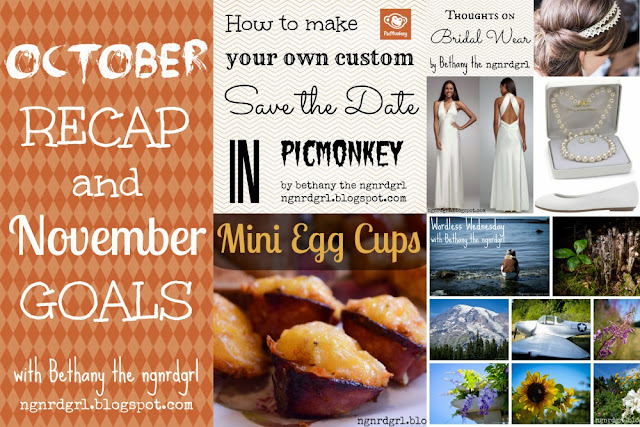 What's on your list for November? Check out Vista Print for printing your save the dates! They have a sale right now for 100 postcards for $10!